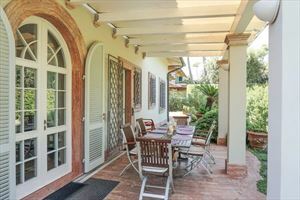 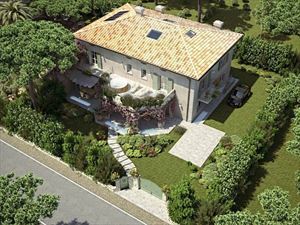 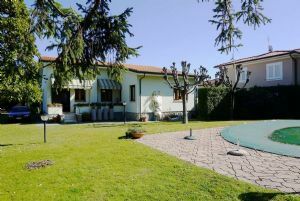 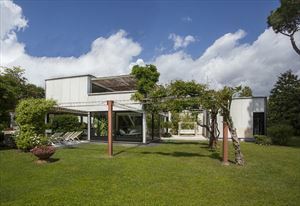 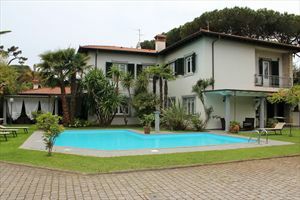 А detached Villa of around 130 sq m. with a garden of 1100 sq m. and a pool (8x11 m.; 2.4 m. of depth) located on a quiet street in Forte dei Marmi (Vittoria Apuana) around 700 meters from the sea. 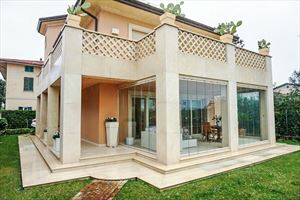 The Villa consists of a covered terrace, a spacious living room with dining table, a large kitchen with access to the garden, 3 double bedrooms, bathroom with bathtub and bathroom with shower. 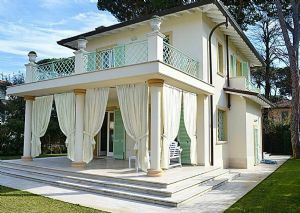 The villa is equipped with alarm system, air conditioning, satellite TV, Wi-Fi, barbecue, an outdoor shower, garage.